Refractron Technologies Corp.ightly controlled porosity and pore sizes from 6 to 800 microns, the monolithic ceramic filter elements can be used in water and air filtration, acid, solvent and hot gas filtration, analyzer probe filtration, and catalyst recovery. 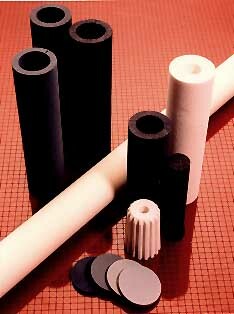 The elements can be produced in open tube or candle configurations in sizes to fit standard filter housings. Tube elements are available with ¾-in. NPT or 222 O-ring stainless steel fittings (316 or 304). Candle elements are available with flanged ends fitted for installation in existing filter housings. These corrosion and temperature resistant products are designed to offer a high mechanical strength, high flux density, high removal efficiencies and low pressure drop.